The lanyard is about 2 m long. It is divided at each end with 2 carabiners. The slider system ESYSKI has a cable and a ring which slides along the latter. The assembly is attached to the two rings of the belt through the carabiners positioned at the ends of the cable. The tether is attached to the ring which allows it to move laterally around the body of the child. 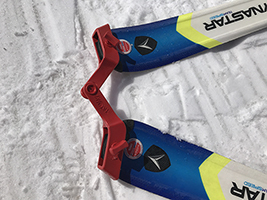 This device can give him a feeling of skiing alone because it leaves it free to all its movements. It is composed of a main structure with a lanyard "belt" and two lanyards "suspenders" fluorescent orange color to optimize safety on the slopes. Adjustable and detachable buckles positioned on each side of the "belt" and each "ramp" will allow you to adjust the harness to the morphology of the child. 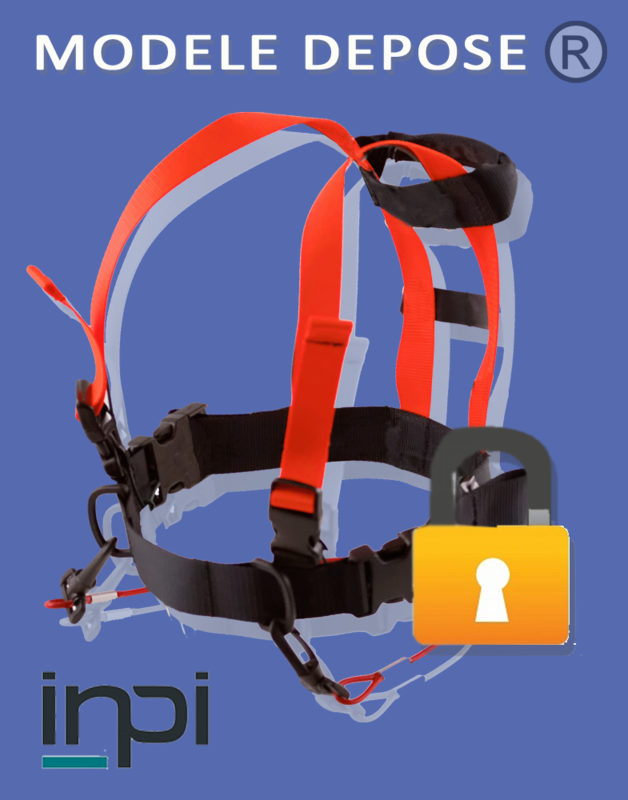 Also detachable, they facilitate a rapid implementation of the harness.